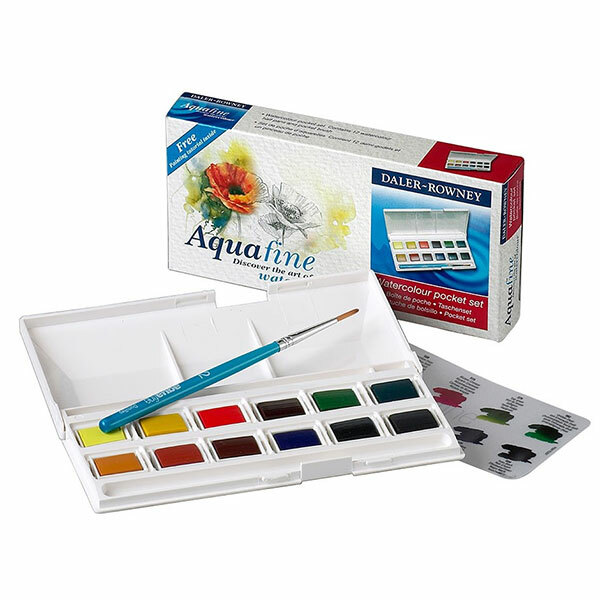 Daler-Rowney Aquafine Watercolour Pocket Set gives you a selection of colourful paints that are compact and easy to take with you. 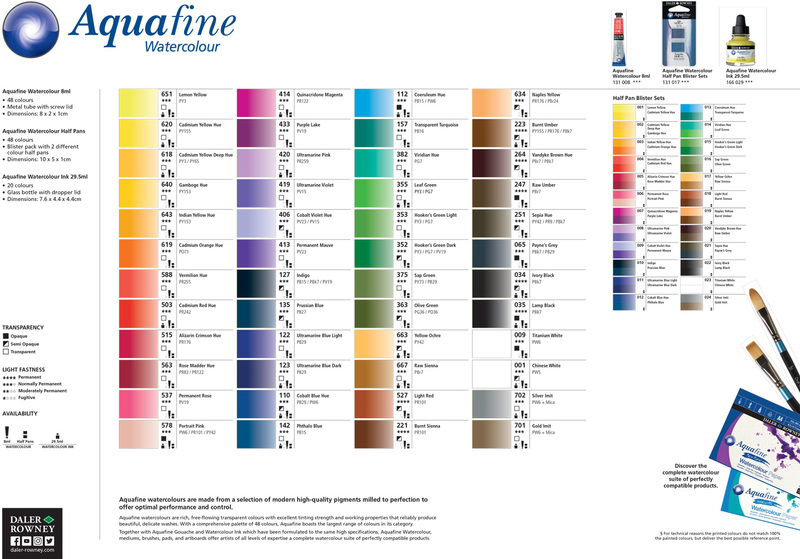 Perfect for student artists and hobbyist alike, the Aquafine range provide high performance, rich transparent water colours with excellent tinting strength and working properties. Each set contains 12x half pans of watercolours, a brush and the box features a thumb ring. The small set offers high quality watercolour paints, great whether you want to work in your own artist’s studio or you wish to paint your watercolours while looking over beautiful vistas.